Coast Guard 17th District External Affairs Office Oct 31, 2016. JUNEAU, Alaska — Coast Guard Operation Arctic Shield 2016 concludes as Air Station Kodiak crews close Forward Operating Location Kotzebue, Monday. Air Station Kodiak crews were deployed to FOL Kotzebue during the summer months as part of Operation Arctic Shield, an annual operation that began in 2009. The aircrews responded to 22 cases, saving six lives and assisting five others, since the FOL opened in June. Cases included missing hikers, offshore emergency beacon alerts, Alaska State Trooper agency assists, persons in the water, mayday calls and overdue boaters. Coast Guard aircrews recently manned the FOL at Cold Bay to reduce response time to Bristol Bay, the Bering Sea and the Aleutian Islands during peak fishing season. 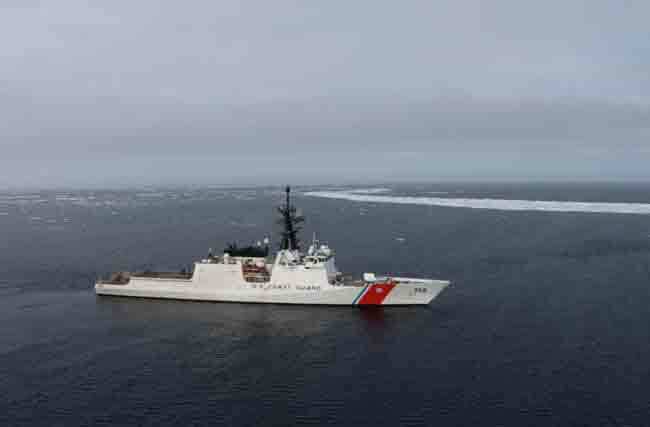 Aircrews are expected to redeploy to Kotzebue next summer as part of Arctic Shield 2017.In addition to FOL operations, Arctic Shield 2016 saw the crews of the Coast Guard Cutters Healy, Alex Haley, Stratton and SPAR deploy to the Bering, Chukchi and Beaufort Seas for maritime domain awareness, search and rescue, community relations, and scientific research support. Coast Guard personnel also participated in the Arctic Chinook Mass Rescue Operation exercise, a multi-agency, international rescue response drill and field exercise with units operating in Anchorage and Kotzebue, and in oil spill response exercises. Operation Arctic Shield is focused on performing multiple missions, leveraging partnerships and increasing maritime domain awareness to ensure safe, secure and environmentally responsible activity in the Arctic.